Intense, ruby red color. Strawberry, cherry fruit aromas. Fruity flavors, great body, supple tannins and a long finish. Food friendly style of wine. Excellent with rich pasta dishes and grilled red meat. Part of the production is from their own lands which mainly lie on the alluvial rich soil at the confines of the Veneto and Friuli, other is furnished by growers who have worked with the family for years and is basically an extension of their own vineyards. 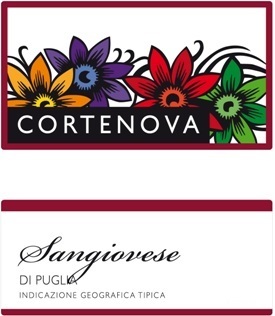 The winery produces several lines of different quality levels using Pinot Grigio, Pinot Bianco, Chardonnay, Cabernet, Merlot, Valpolicella, Prosecco, Soave and Bardolino. They have also expanded their production to include wines from Apulia, Calavria, Sicily to offer their clients a complete range of wines. The family has expanded into the foreign markets slowly making sure that they could handle production requests and maintain quality levels before proceeding on to the next market. This cautiousness has earned them the reputation of being reliable and quality-orientated. El Ganador Malbec is made from 100% Malbec, hand-harvested vineyards. 10% aged for 6 months in new French oak; then 6 months in the bottle. The wine boasts is a rich ruby-purple color, and displays elegant flavors of black berries, ripe plum and robust spices with good balance and structure. Riebeek Cape Rose is made from 100% Pinotage. Abundant and distinctive flavors of fresh strawberries and ripe cherries with a crisp dryness on the palate will be charming at many occasion. Harvested at an average of 24 degrees balling. 100% Pinotage grapes were harvested early in the morning and left on the skins until enough color and flavor were extracted. The juice was settled overnight and then inoculated with selected yeast. Cold fermentation ensured capturing of all the natural fruit flavors. Enjoy well-chilled with lighter meals like pasta, salmon, and salads, or as a glass on its own with good friends. Riebeek Cellars Shiraz is made from 100% Shiraz. Cold soaked for one day and then inoculated with selected yeast. was then blended with wine matured in 2nd and 3rd fill barrels for 12 months. What this vineyard captures, more so than any other Pinot Noir site that I have tasted, is both power and elegance. Bright and forceful Bing cherries and dark berries along with the slightest hue of roasted coffee bean on the nose. Immediate and broad textured tannins cover the palate as flavors of black raspberries, licorice and black tea leaves unravel. Oak-inspired overtones of crispy charred marshmellows and fall spice with balance acids elongate a finish that reverbs for hours. The Soberanes Vineyard is the latest exciting joint venture between the Pisoni and Franscioni Families. The site features tightly spaced vines and is planted to 33 acres of Chardonnay, Pinot Noir and Syrah and sits on the Santa Lucia Highlands Bench adjacent to the Garys' Vineyard. The clonal material planted in the loamy, rocky soil is very diverse and features over a dozen of the most renowned heritage selections from California and Burgundy in pursuit of the finest wine quality. The vineyard is famous for producing ripe, luscious Pinots stuffed with massive fruit. Many wineries have dipped into it over the years. Krutz’s rendition is dry, balanced and full-bodied, with relatively high alcohol framing raspberry, cherry, cola, red plum, exotic spice and sandalwood flavors. It should age well through 2020–2022. Single vineyard. Vinification: cold fermentation in stainless steel tank, no oak, no malolactic fermentation. Sweet, fruity and clean. White flowers (acacia, jasmine) and citrus fruits aromas. Perfectly balanced. A delicious wine, perfect with fish dishes, especially salmon, and a local goat cheese Crottin de Chavignol.